Zillow has presented its annual list of the hottest housing markets, and says that the Silicon Valley city of San Jose in California is expected to grow the fastest in 2019. It marks the second year in a row that a Silicon Valley city has earned that distinction, but Zillow says things could be different 12 months from now as some southern markets are beginning to heat up. 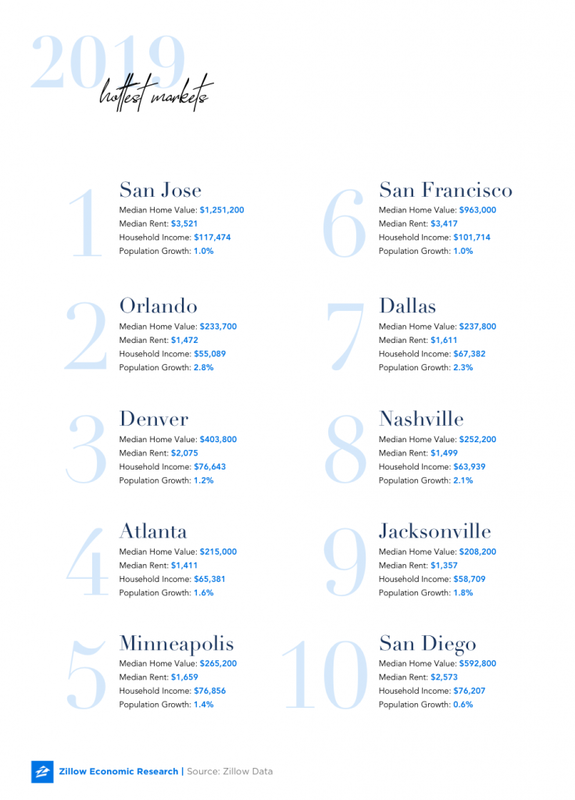 In order to identify 2019’s hottest real estate markets, Zillow looked for cities and towns where home values and rental prices are expected to rise faster than the national average. It also looked at places with strong income growth, lots of job opportunities and growing populations. 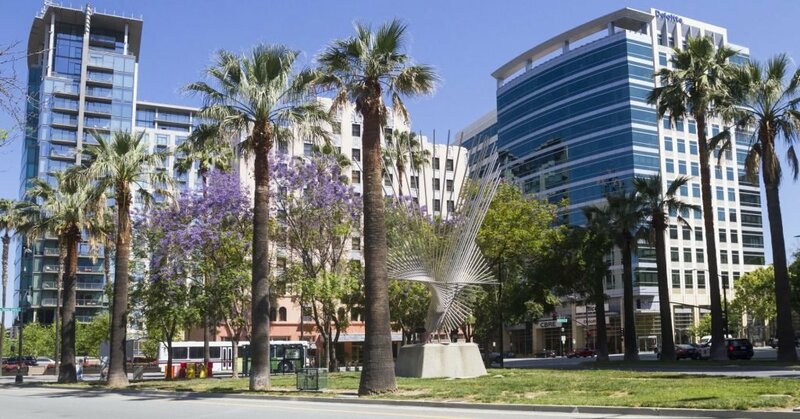 Among the 50 largest metros in the U.S., San Jose ranked first in terms of its low unemployment rate and available jobs per person. It also came out top in terms of home values and its forecast home value appreciation. San Jose continues to see double digit home value growth, having led the country in this category last year. Zillow expects it to do the same again during the first half of 2019. It noted that San Jose’s for sale inventory has doubled in recent months, though the supply still remains tight. San Jose also placed high in terms of income growth, with the average household income rising by 6.8 percent last year. Other cities home to numerous technology companies also made the list. These include San Francisco and San Diego, plus the cities of Atlanta, Dallas, Denver and Nashville, all of which were finalists to host Amazon’s HQ2 and boast growing technology industries. Still, winds of change are brewing and as a result, five of the hottest markets for 2019 are located in the South, where homes are currently much more affordable and therefore, enticing new people to move in. For example, the median price of a home in Jacksonville is six times less than what it is in San Jose, while rents are three times cheaper on average. Orlando, another market that’s forecast to grow rapidly in 2019, saw the biggest population increase among the top 50 metros with growth of 2.8 percent. “Silicon Valley’s white-hot jobs market has propelled the region’s housing market – which we expect to continue into the early months of 2019 – but there are some signs that the trend is away from the West Coast and toward the South and Southeast,” said Zillow senior economist Aaron Terrazas.